If you run a commercial kitchen or are involved in food preparation and storage, you will understand how important cleanliness and hygiene are. Keeping fresh, frozen and stored produce away from contamination is important during every part of the cooking process. If a kitchen is not kept clean to the highest standards, there is a risk that prepared food will make people unwell. Kitchens are also dangerous places, where accidents are more likely to occur. To keep kitchen workers safe, every possible step should be taken to reduce risk and remove hazards. One of the ways you can improve hygiene and safety in your commercial kitchen is to consider having a new floor fitted. Food preparation and storage areas are required by law to meet strict food safety guidelines, so careful consideration must be given to any renovation or redesign work. To ensure that your new kitchen floor meets safety standards and offers high levels of protection, call UK Industrial Flooring and take a look at the flooring we offer. As professional flooring specialists with over 40 years of experience, we have worked with restaurants, hotels, hospitals and industrial kitchens of all sizes and functions. We understand the needs of the modern food preparation area and we can provide top quality flooring that delivers a number of safety functions at once – reducing risk to your customers and staff, and reducing your maintenance costs as well. Our kitchen floors are designed with toughness in mind, as we understand how much wear they get on a regular basis. Durable even under the pressure of trolley wheels, hot spills, smashed pots and constant footfall, our commercial kitchen floor systems are coated to protect against damage. Save yourself maintenance and repair costs down the line by choosing a floor system that is designed to last. With a 10 year warranty, you get reassurance that your floor will continue to perform well. Many of our commercial kitchen floors are coated with an anti-microbial agent that reduces the risk of food contamination. Bacteria is rapidly spread around a hot kitchen, while spills and splashes are commonplace. 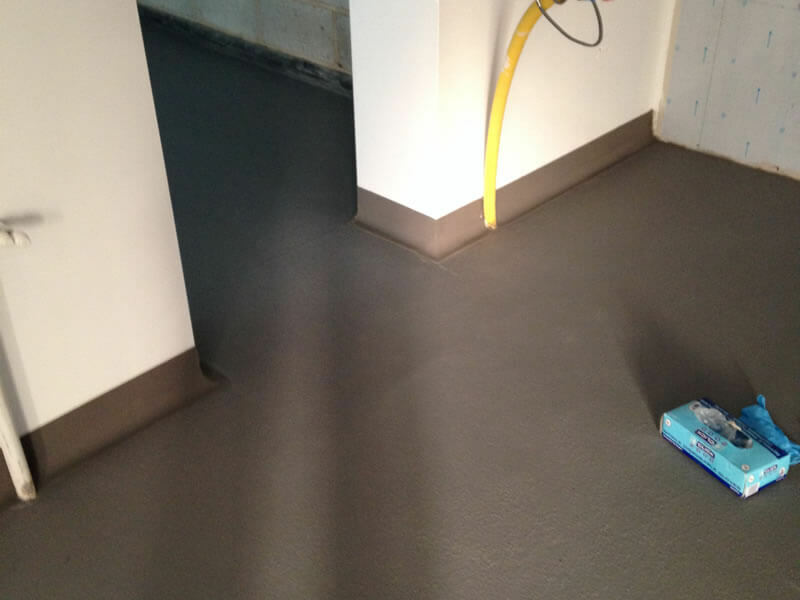 This anti-microbial coating is recommended for any premises where food is prepared or packaged, and gives an added level of safety to traditional commercial kitchen flooring.